Thousands of student each year decide to pursue their education in Canada, whether it is undergraduate or postgraduate degrees. Having become quite popular in the Educational domain, Canada is now one of the most desired destinations to study abroad. Offering great opportunities to not only get quality education but also work during and after studies is just the beginning, Canada is in a great advantage over the competition. Also, immigration options are open to getting permanent residency for international students who obtain a graduate degree in this country. The Student Visa to Canada allows overseas students to study at many of its world-class Universities and Colleges. Canada generally welcomes close to 100,000 foreign students every year. Canada is getting further recognition and praise for providing world-class education to the newcomers who come to study either in English or French, as a bilingual entity. The Student visa allows foreigners to engage in further studies in Canada either in an academic or vocational sector only to mutually benefit from mutual cultural exchange, expansive knowledge and varied skills in a Canadian already multi-faced classrooms and schools. 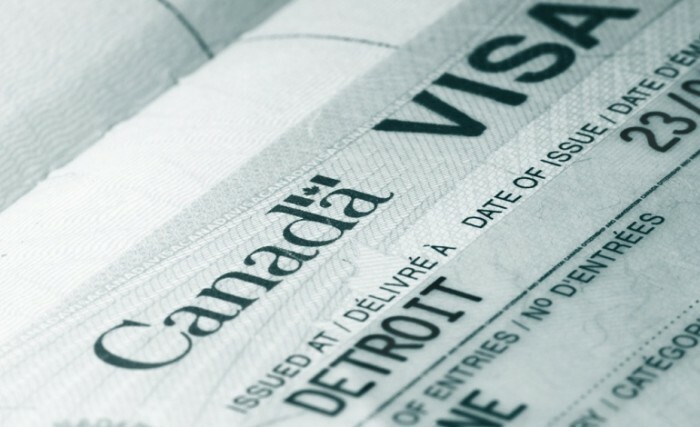 In order to be granted a student visa in Canada, you must prove that you are really going there to study as in get accepted in a Canadian tertiary education institute accepted by the government, prove you will have enough money to support yourself during the studies and there is something waiting for you in your home country after you’ve graduated. The moment you get the student visa you are bound to not only get a quality degree in Canada but also get a great shot on a permanent postgraduate employment opportunity which is highly probable in this country. The Canadian Student visa welcomes international students to their qualified educational institutions. The specific requirements for the Student visa will vary depending on the selected level of study, the applicant’s educational background, and their country of citizenship. Ties to their home country and evidence of their intention to leave Canada at the end of their studies. Additionally, students have to have proof of no criminal history or endangering medical conditions of any sort and willingly undergo medical testing as required. Before you enter Canada in order to engage in an educational institution regardless of the type, be it professional or vocational training at a university, college or other, a student will have to obtain a study permit (residency permit). There are a few exceptions to this rule. For example, you do not need a permit if you are enrolling in a short-term course or program of six months or less. Nonetheless, if you plan on studying a full course over more than six months, it is mandatory to get a study permit before you arrive. You must apply for a study permit from outside Canada, at the visa office responsible for the country or region where you live in. Along with the application form which you will download online, you have to attach the following document in order to apply for a study permit. Proof that you have sufficient funds for your stay in Canada. Most of the international students that come to Canada have their expenses covered by awards, scholarships, and bursaries on a competitive basis. However, this might not always be the case. Once you are granted a student visa you are eligible to work on-campus during the school year, earning money for tuition and other personal expenses. Once you’ve graduated, you are entitled to apply for a Post-Graduation Work visa which allows you to stay and work in Canada for three more years. Afterwards, it’s also possible to apply for a permanent residency permit which allows you to work and live in Canada permanently. In addition, students are entitled to apply for Off-Campus Work visa after 6 months. To work off campus, you must have a work permit. The work permit allows you to work part-time during regular academic sessions (20 hours per week) and full-time during scheduled breaks, such as winter and summer holidays, and spring break. You can work in any line of work, and change jobs as you please. To qualify for the work permit, you must have a valid study permit and be a full-time student at a recognized postsecondary educational institution. Recognized institutions generally include a public, post-secondary college or university and degree-granting programs offered by private institutions throughout Canada. You must have resided in Canada for at least three years in the past four years before you apply. You will count the time spent in Canada before becoming a permanent resident. Canada has two official languages—English and French. To become a citizen, you must show that you have adequate knowledge of one of these languages. A citizenship judge will make the final decision on your application, including how well you can communicate in English or French. Have had your Canadian citizenship taken away in the past five years.